Once upon a time, I worked as a part-time worship pastor at my home church. I probably wasn’t great at it, but I enjoyed doing it. As a part-time worship pastor, one of my duties was to help with the organization of service. Now this usually doesn’t require much because everything is set in stone; but every now and then, I got to change some things around. It’s crazy for me to reflect on my life since this only happened 3 years ago. 3 years ago, I thought I knew everything. Today, I really know everything…or so I like to tell myself. I used to try and cut the time spent on communion down. Could we get more servers to speed the process along? Can we shorten the long-winded meditation? How about we cut communion this week? I grew up in a church where we took communion each and every week. For the longest of time, I thought it was the worst snack possible. It’s unfortunate how the evangelical movement misses the pinnacle of why we gather. I thought we gathered for worship. I thought we gathered for a sermon. I thought we gathered for a really cool element that would bring all the unchurched people to church. I thought we gathered so we could discuss the potluck next week. I thought we gathered so that we could go to heaven. announcements (I remember someone asking me once if they could have a longer time for announcements to discuss some important things). But why would that bother us? Most of us aren’t bothered by how communion is continuously pushed to the fringe of many evangelical services. Most of us don’t care that communion reminds us that Jesus ate His final meal with His friends…and His enemies. Most of us don’t care that communion shows us how to serve one another. Most of us don’t care that communion is a reminder of what the Kingdom will be like. It is disheartening to see this. 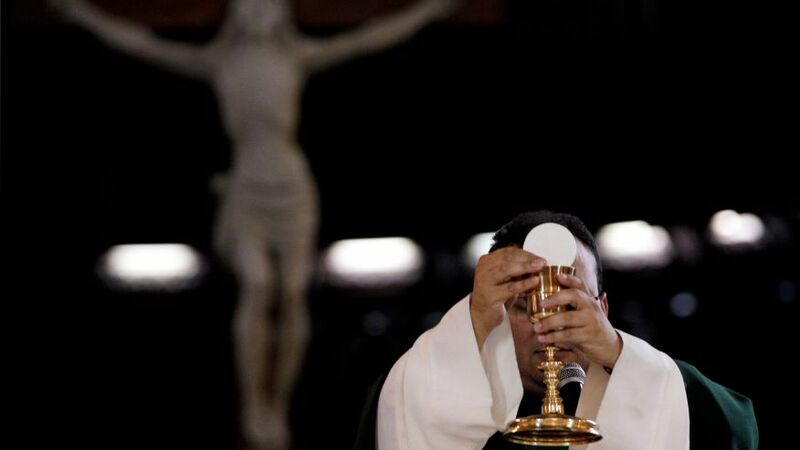 What is even more disheartening, however, is how we have turned communion into a personal time with Jesus to thank Him for everything He did for us. Doesn’t this thought go completely against the word communion? I grew up in a tradition where we passed the tray. This was a terrifying experience. I always felt like I was holding up the body and blood of Christ from others…or worse yet, that I may spill the body and blood of Christ all over the floor. Sometimes, I go to the Episcopal Church. Each time I go, I approach the altar with several other strangers and kneel down to receive the body and blood of Christ. In these moments, I truly feel like I am in communion with Christ and with others. It is no longer an individualized moment. My tradition takes a memorialist view of communion (that it is purely a time to remember what Christ has done). I believe this has a lot to do with why we don’t really care about it. We can remember what Christ has done through other ways, right? The Orthodox view is The Divine Mystery. Christ is present in communion. We don’t know how. But He is. It is mysterious. 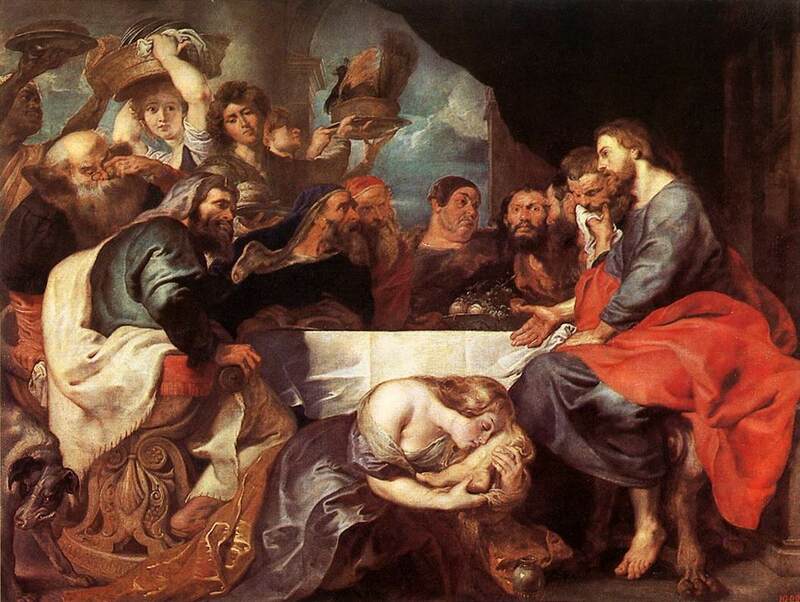 If we all treated communion in this way, that Christ was present, wouldn’t we pay a bit more attention to it? I fear that when we push communion to a 5-minute time slot where we rush people to hurry up and take the body and blood, we forget the reason why we gather. It is time to bring into focus this sacrament. May we never push it into a 5-minute time slot. May we never individualize it. May we never think lightly about it. May we never stop someone from partaking in it. Jesus didn’t stop Peter or Judas…so why do we stop others? In our attempts to be culturally relevant, we have lost all respect for the sacredness of communion. It is time that we repent of our behavior and return to this act that is the focal point the church needs. Many times I fear that I come across negative in this blog. I hope that is not the case. It is simply a platform for conversation. I hope to bring up things that deserve discussion. My prayer is that you never view me as a negative individual when it comes to the Church. There is nothing I love more than the Church. It is something to which I have dedicated my life. On that note, today’s discussion. 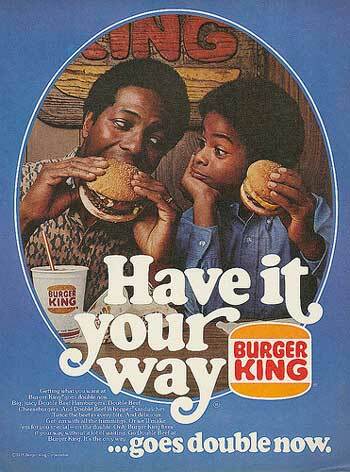 Burger King is known for their slogan “Have it your way.” That mindset attracted a lot of people. When we get down to it, we would all love to have it our way. Let’s be real, no one wants to be a part of something that they do not like. We support missions we like. We go to a church we like. We sing songs we like. We live in a neighborhood we like. We do a job we like (well, not all of us). We marry someone we like (I hope all of us do that…). We all want to do something we like. We all want to be a part of something we like. And when we don’t like something, we like to transform it into something we like. My dad hates onions. Every time he orders something, he tells them to leave off the onions. If they don’t, he usually won’t eat it. And believe me, we have tried sneaking them into his food – he always finds them. My dad will transform something with onions into something without onions – something he doesn’t like into something he likes. My fear with this mindset, is that we do this with the Church, especially within the non-denominational world. If we don’t like the carpeting in the church, we urge the church to change it. If we don’t like the elders in the church, we try to get them out. If we don’t like the preaching, we tell him/her how to do it better. If we don’t like the worship, we tell the worship leaders how to improve. If we don’t like the youth minister, we tell him/her what could be done to make the ministry better. I could go on and on with this list. But I’ll spare the redundancy and state the point: we change that which we don’t like. This is a great mindset to have in our lives. Change the things we don’t like in ourselves. However, within the Church, is this right? Is it right to try to find a church to “fit our needs?” Is it right to try and change a church to be how we want it? Is it right to sing the songs that we want? Listen to the preaching we want? Pray the prayers we want? Support the missions we want? Where is the line between the will of God and the will of man? What happens when one person says, “God told me we should support this mission in India?” But another person says, “God told me we should support this mission in Mexico?” Who is right? To whom did God speak? Is it possible that both are really just trying to get what they want? The Church is one place where everyone is an expert. Every person is an expert preacher, teacher, worship leader, youth leader, elder, meditator, children’s leader, etc. We all have input on how everyone can do their job better (and do their job according to how we would want it). I see this in myself. I confuse what I want with what God wants. Our desire is sometimes so strong that we cannot see what God wants. The Church is not Burger King. We cannot have it our way. We cannot change things just because “we don’t like them.” I speak to myself when I say this. We cannot change the preacher just because we don’t like his preaching. We cannot change the worship just because we don’t like the songs. We cannot change the view of communion just because we don’t like how uncomfortable it can make some feel. We cannot change things just because we want something different. It is something that has to be of God. We have to trust that the leaders are seeking God’s will for the direction of the church. If they are not, that will be brought to light – it always is. In the meantime, let’s stop treating the Church like Burger King. Surprisingly enough, we are not all experts in ministry. The Church is not about us having it our way. It is about God having it His way. The sooner we realize that, the sooner we will begin acting like the Church. I was a little bit nervous as I handed the senior pastor the letter. It felt like I was walking away from doing what was right. I didn’t want to give up just because I was tired. But I was tired. I was exhausted. As soon as I handed him the letter, I was immediately at peace with my decision. That was a weird feeling. My resignation brought me peace. Now, almost a week after the decision to resign, I am beginning to see the fulness of what that position had done to me. It made me cynical toward the Church. It made me see some of my brothers and sisters in Christ as the enemy. It made me scan the Bible looking for ways to prove myself right. It made me wish Johnson would’ve offered Political Science courses. It made me want to leave the ministry. It made me see the need for a church in this area. Most importantly, it made me see what I did not want to become. During my internship at Central, I remember a leadership talk given (I can’t remember who gave it) that said that sometimes we learn the most out of bad situations because we learn what we don’t want to become. I never thought those words would be so true. Don’t get me wrong, it wasn’t all bad. I enjoyed so much of it. But you can only see the damage when you leave. You can only see the damage done when you leave. That thought made me think quite a bit. How many of us are in unhealthy situations but do not know it? How many of us are hanging by a thread but do not know it? Is it right to continue in a position that is slowly killing your drive? I fear that many of us are in these unhealthy situations but refuse to walk away because we think we can change things. We cannot change that which is refusing to change. I tried to change the music. Music is something that causes more problems than it should. But seeing how music directly influences your salvation, we must pay it a great deal of attention. I tried changing something that refused to be changed. Perhaps you are a minister who is trying to change the mindset of your elders and they refuse to change. Maybe you are a youth minister who is trying to change the perception of what youth ministry is but people are refusing to accept the new ideas. Maybe you are a small groups minister who is trying to change the structure but no one wants to do it. I don’t know your situation, but what I do know is this: one cannot change that which refuses to change. When I graduated college, I had this idea that I was going to change the world, one church at a time. Unfortunately for me, I didn’t realize that I can’t change something that refused to be changed. Whenever we try to change something that refuses to be changed, we destroy ourselves. I don’t know what to do in these situations. I don’t know if what I did was completely right. 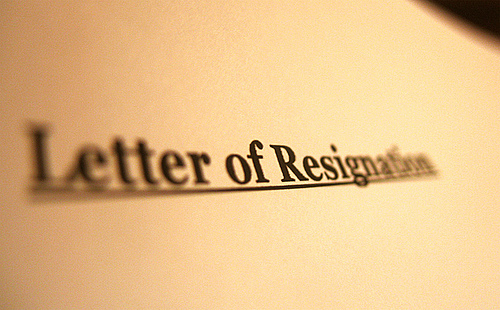 But what I do know is this: resigning is the best thing I have ever done. 1.) You cannot change that which refuses to change. 2.) You can only see the fulness of the damage when you walk away from the situation. So many times I hear people saying, “I don’t deserve you, God.” I’ve never understood that. It seems to be a bit of a pity party. It’s like you look at your life and say, “You’re too good for me. I don’t know why you haven’t abandoned me.” What does that do for self-worth? What does that do for motivation for mission? I’d like to propose the exact opposite of this mindset. God doesn’t deserve us. I mean, look at us. We’ve got it all together. We’ve put out hundreds of thousands of books on ministry. God has one. We’ve written several blogs about the Church. God doesn’t have a blog. We’ve created innovative worship. God has the Psalms. We’ve formulated messages to where you can reach people wherever they are in relation to God. We’ve translated the Bible into almost every language and are working toward having it available in every language. We’ve written several commentaries about what the Scriptures are really saying. We’ve built huge churches to bring in thousands of people. We have denominations for every single taste. Much like that of Baskin Robbins. We’ve simplified church to an hour long so that it can fit in our busy schedules. We’ve put out one-page devotionals so we can have accessible spiritual growth. We’ve made church available online so that you do not have to leave your home. We’ve done a lot if you look at it. What makes God think that He actually deserves us? When looking at it, we run a pretty tight ship. These are accomplishments of which we should be proud. Look at all that we have done to advance the Kingdom (I mean, we can give praise to God, but we played a pretty key role in all of it). I fear that we sometimes move toward this mindset. We move toward the mindset that God doesn’t deserve us. But in reality, it’s true. God doesn’t deserve someone who thinks he/she can fix the Church. God doesn’t deserve someone who thinks he/she is going to be the next leader of the Church. God doesn’t deserve someone who thinks he/she is the greatest worship leader. God doesn’t deserve someone who thinks he/she is the best preacher. God doesn’t deserve someone who thinks he/she knows the best direction for the Church. God doesn’t deserve us. He deserves better. He deserves the woman who gave all of her money to the synagogue. He deserves the fishermen who left their occupation. He deserves the prostitute who begs for forgiveness. He deserves the repentant disciple who previously disowned Him. He deserves the thief who recognizes His sovereignty. He deserves much better than us. Many times, He deserves the exact opposite of who we are. So why is it that we are scared to try and become what He deserves? Why is it that we are scared to become “perfect as I am perfect?” Why is it that we are scared to admit we don’t have it all together? To admit that we are sinful? To admit that we are not in a position to lead a church (but that for some reason He still desires to use us)? To admit that we sometimes try to steal His fame? To admit that sometimes we are in the wrong? Perhaps instead of saying, “God, I don’t deserve you,” we should say, “God, you don’t deserve me.” Because when we understand that concept, I think we begin to understand grace and mercy a little more. I told myself that I would never write about worship. It is a topic that never seems to start a dialogue – just arguments. People can handle bad theology, bad doctrine, and bad practices — but worship? If you discuss worship, be prepared for people to roll up their sleeves and throw a punch. However, recently, I read an article in a local newsletter. The article disturbed me for 2 reasons: 1.) It was from the “Wittenburg Door,” which is a Christian satirical publication. 2.) The person who commented on the satirical piece took it as truth and argued in favor of what satire was trying to put an end to. I cannot reprint the article, due to copyright infringement (of which this newsletter most likely violated), but what I can do is accurately summarize it. The article was about how worship leaders should not talk. It satirically pointed fun at how we have such “strict” requirements for preachers but not for worship leaders. It said that worship leaders should sing and nothing else. They are not theologians nor are they teachers — but their music can teach, just not the musician. It was a rather humorous piece when looked at as satire. Unfortunately, the preacher who commentated on the article did not view it as satire. In fact, he viewed it as truth. He agreed that musicians should not talk and that they are just there to sing – nothing else. Obviously, musicians have to be some form of theologians. Some churches expect preachers to lead worship. So if musicians are not theologians, does that mean that theologians are not musicians? These are insights that are to be gained from this satirical piece. This is the mindset of many rural Illinois churches. They don’t have a problem with worship as long as there is a piano, an organ, and all 9 verses of “A Mighty Fortress is Our God.” But the moment you take away a verse, or the organ, you’re in deep water. I’m really tired of the worship wars. It’s a never ending battle in the traditional evangelical church. The older generation thinks that God hates the younger generation’s worship. And the younger generation thinks that God is tired of the older generation’s worship. We argue about these nonessential things. What we truly should be focusing on is obviously God. However, we focus instead on the guitar that is playing, the drums that are banging, and the bass guitarist that is jumping. I remember a phone call I made to an individual in the church. They had been writing comments on the back of their attendance cards (I’ve been thinking about publishing some of these comments…). So I decided to give him a call to see how we could somehow meet in the middle on old and new worship. Long story short, it did not go well. He told me that I was robbing people of worship. I stopped him there and told him that people decided in their hearts that they would not worship. This was a bad move because it ended up causing him to get even more angry and involved him telling me how I didn’t respect my elders. This is the kind of thing that I see in the rural Christian churches in Illinois. It upsets me beyond belief. When I lead worship, I see the angry stares and the tightened lips. God must really hate our worship. It’s the only explanation for why I see so much anger in the faces of the people I’m leading in worship. I hesitated writing this piece because of the content. We will always argue old versus new. It will always be an argument. It will never end. The people who want to walk down the middle of the road (like myself) will never fully satisfy either party. And the middle should not be an option — for it is an option that is only made available because we are too scared of ticking off either side. What I can say is this: God must really hate our worship. Because instead of worshiping Him, we complain about a song — whether that be a hymn or a new song (I have heard both complain). The older generation wants hymns because that is what they grew up singing. The younger generation wants new songs because they’re more exciting. Both sides will not be pleased. Ever. Therefore, God must really hate our worship. The younger generation tells themselves that this will bring more people in the church (even though worship is consistently proven to have little effect on why a non Christian would attend a church). The older generation tells themselves that the hymns are more theologically sound (even though looking through the lyrics of “I’ll Fly Away,” “When We All Get to Heaven,” and “In the Garden” prove that they are not more theologically sound). Both sides tells themselves things to support why they want what they want. You can sense the worship division in the church. Both sides must get over themselves. No more waiting for the older generation to die off and no more waiting for the younger generation to come to their senses. Books have been written and will continue to be written (and will sell quite well) but none will solve the problem – for the problem is inside all of us. That’s what has to be fixed. Not the service. Us. There, I saved you from paying $400 to go to a worship conference. God has to hate our worship. Look at the hatred that both sides display to one another during church — doesn’t that taint our worship? Are you tired of going to church and not being able to feel the Holy Spirit? 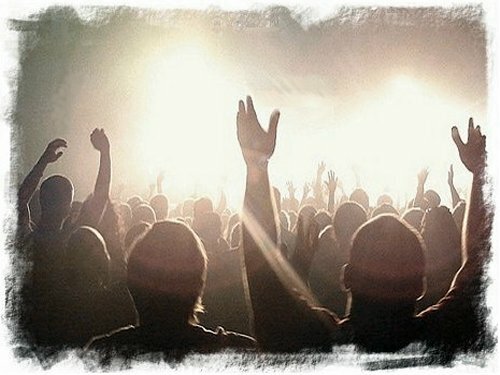 Does it seem like your worship is empty and boring? Is the preaching uninspired and emotionless? Could your church benefit from the life the Holy Spirit brings? If so, read the following ways that you can achieve exactly just that! 1.) Lighting. This is probably the most difficult for us to achieve. There are many churches that do not have the equipment necessary for accomplishing this. If you are one of those churches, I apologize. However, if you have the ability to lower the house lights to almost pitch black level (dark enough you can’t make out your neighbor’s face, but not dark enough to cause a lawsuit), then you can manufacture the Holy Spirit. Just lower those house lights and have bright lights on the stage going back and forth throughout worship. 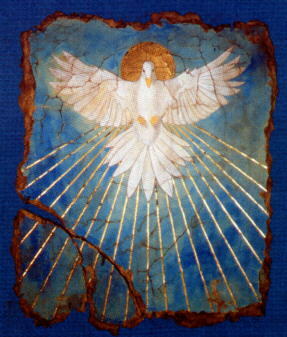 This does wonders for envisioning the Holy Spirit. The quicker you move the lights, the better. Periodic strobing is encouraged as well (not too much as this can cause seizures in some people). 2.) Play emotional songs with long musical interludes. Obviously you have to have a band to accomplish this one. This can be very powerful if done well. Make sure all the instruments are together throughout the musical interlude. It is preferable to use an interlude with a nice build. You want to go somewhere with the music. Make sure it is not too long, though, otherwise people will start sitting down or checking their text messages. If you see this happening, look at number 6 for some help. 3.) Speak loud and fast. If you are a preacher, this is a must. The louder and faster you speak, the better. Here is why: people won’t understand what you are saying and this allows you to say things that aren’t really powerful, but they are said in a way that causes people to think they are powerful. Also, if you speak loud and fast, it makes you seem more confident and full of the Spirit. This will excite people. 4.) Speak slow and soft with some emotional music playing behind you. This is especially beneficial during the invitation/altar call. It helps drive home a point with people. Without the music, people won’t attach to the points you are trying to make. With the emotional music, your points will become automatically powerful, even if they don’t make sense. 5.) Get the people involved by getting them to say “amen” frequently. The more you can get them involved, the better. “Amen” is a good one to have people say. I have also heard a church use “go God.” This seems like it gets the job done as well. 6.) Randomly say “Jesus” in a song. This will help you in moments that you see people zoning out during worship. It redirects them to who you are singing about. Give it a try. It works every time…because people can’t argue with Jesus. 7.) Use the phrase “God has laid it on my heart…” This is something else people cannot argue with. Oh, they might try, but if God lays something on your heart, then it is inarguable. This can give you the liberty to say anything. So use this phrase carefully. Don’t say anything that will cause you to be struck dead. 8.) Pray for “God to come and fill this place.” God has already promised to be where we are. And if God is omnipresent, then He is everywhere. So really, this prayer is asking God to do something that He has already promised to do. That is not the point, however. When you pray this, people will be able to feel God enter a place. 9.) Talk about hell. The quickest way to God is through fear. 10.) Eat a bad burrito the night before church. When all else fails and you can’t “feel” the Holy Spirit, eat a bad burrito before church. This will get your stomach stirring and you will definitely “feel” the Spirit by the beginning of service. My hope is that these are beneficial to you. Put them into practice. You will not regret it.